It was a delight helping Angela and Matt plan their wedding. 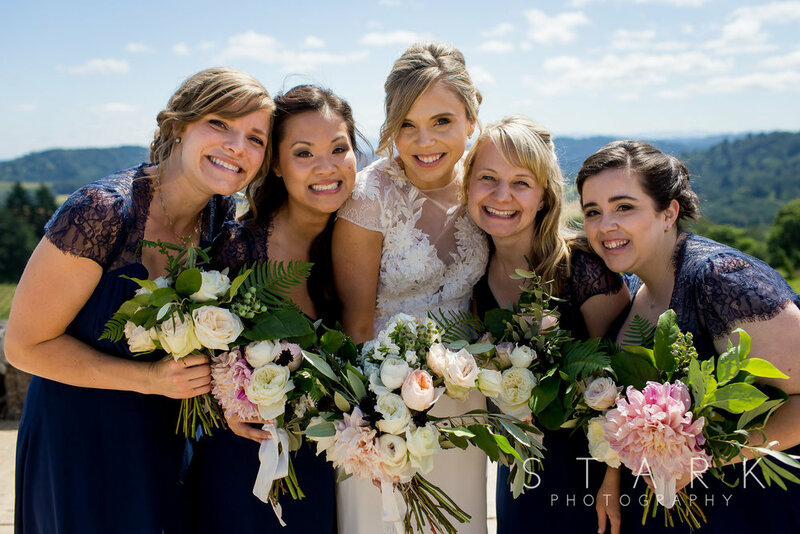 The first time I met them I knew their wedding was going to be beautiful, fun and very personal. 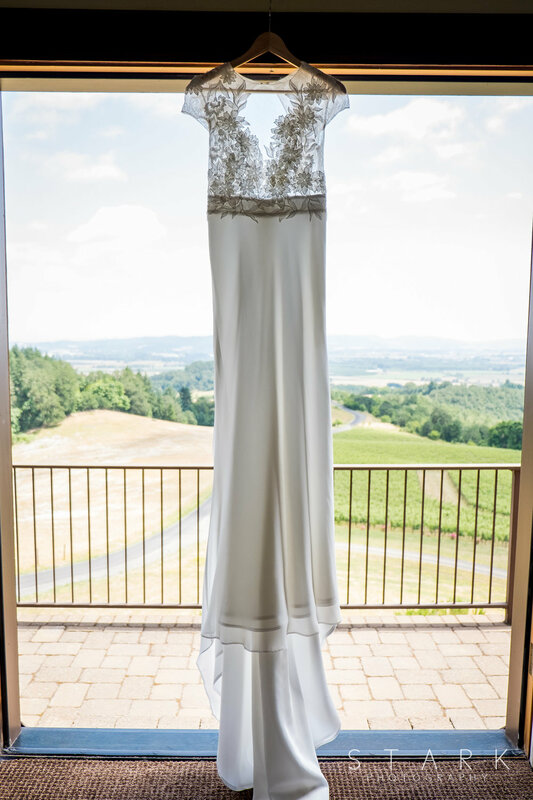 Their wedding was set at picture perfect Youngberg Hill. 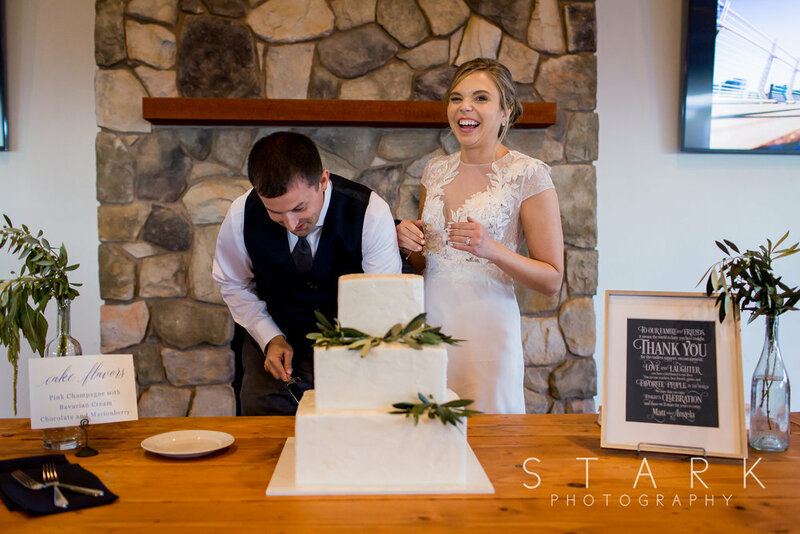 It was a beautiful backdrop for their ceremony and reception which used shades of navy and sage green with sand and burgundy accents. 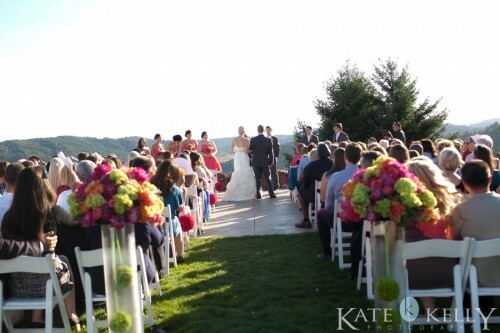 This simple yet elegant wedding incorporated Mediterranean and NW elements including olive branches. The olive branches had a connection to both Angela and Matt. Angela and born in Jerusalem and Matt is from Italian descent. This was just one of many personal touches. 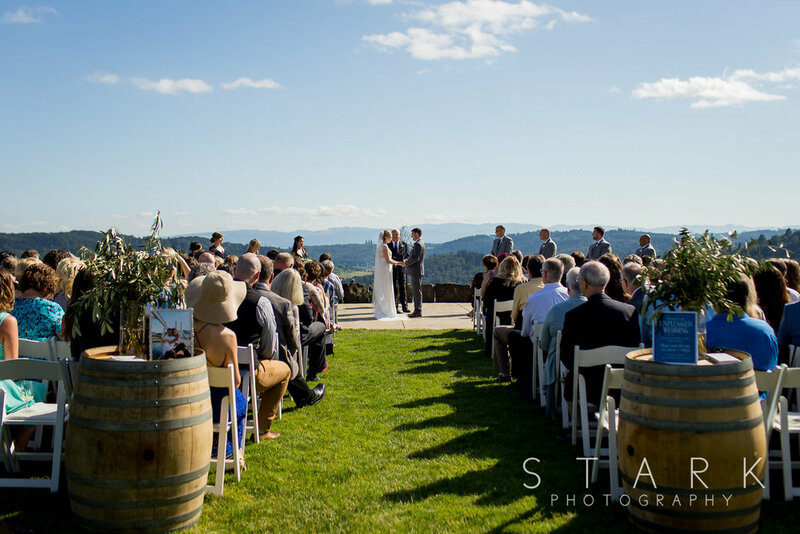 After the ceremony which was officiated by Angela’s father, the guests enjoyed drinks while taking in the gorgeous views. They dined on delicious food provided by Willaby’s Catering and Event Design. Once the dance floor opened the party really started. 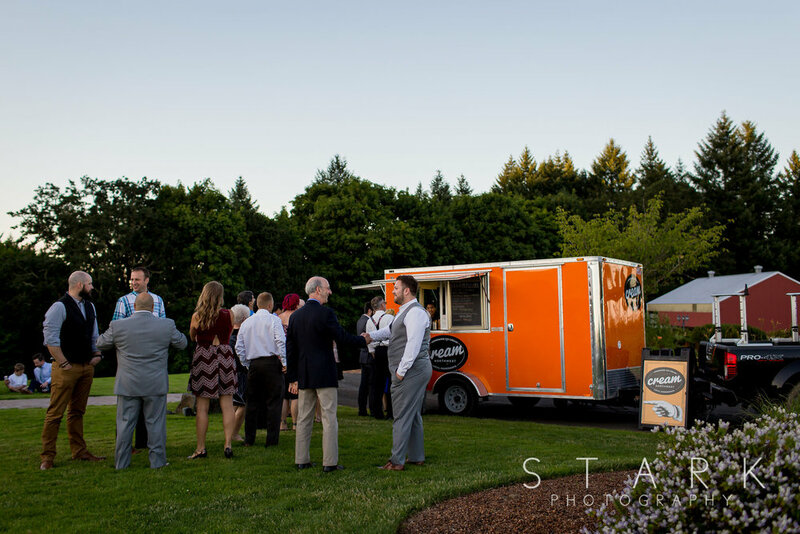 Guests were in for a treat when CreamNW opened the ice cream truck! 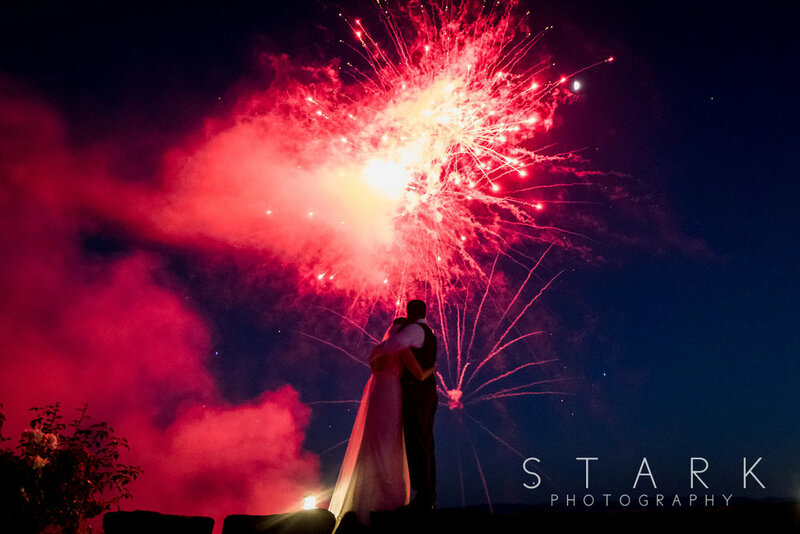 The evening was capped off by a huge fireworks display which was a surprise to most of the guests. It was truly a night to remember! Congratulations Angela and Matt! 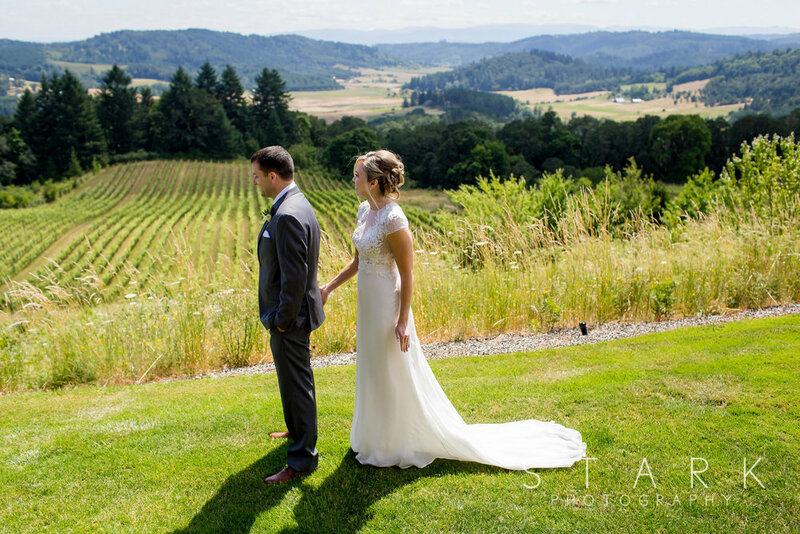 Erin & Paul’s September wedding took place at YOUNGBERG HILL in the Willamette Valley, a venue that has one of the most breathtaking views around. 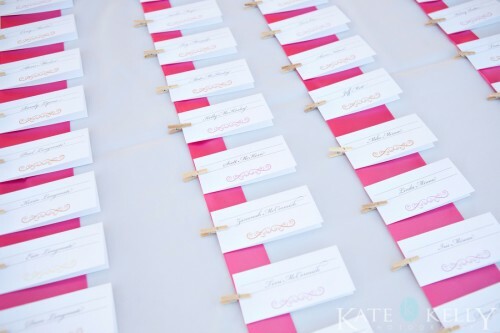 The pops of color and nods to the groom’s English heritage made this wedding one for the books! 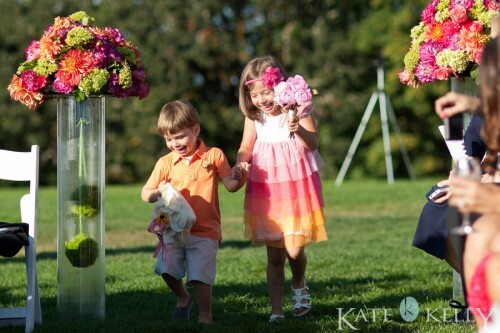 The couple was as sweet as can be and their personalities were really reflected in the festivities.